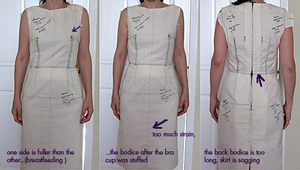 In this class, you'll learn how to accurately measure yourself for a dress pattern. We'll transfer those measurements onto your paper pattern, and then make a muslin (test version) to iron out the kinks. At the end of the class, you'll have a fantastically-fitting pattern that works just for your body!